KEW ENGG. & MFG. PVT. 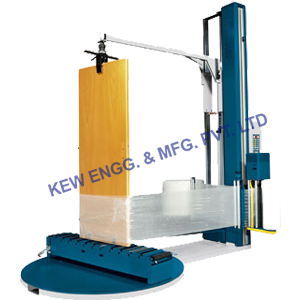 LTD., India dealing on manufacturing and exporting door wrapping machine from India. We have designed Door Wrapping Machine to wrap with a wide variety of window and door products. Our rich experience has given us the opportunity to design quality Door Wrapping Machine with meeting International standard.